Suit Up Ministries - DAD's...How is Your Core? I was the one just acting like I was stretching. Especially when it had to do with mid section core. Sit-ups. Not sure that I hate any other exercise more than doing sit ups. DADs...even today I do all other stretches or workouts before I work my core! And it doesn’t always show immediate results! Thats what we want…little pain and immediate results. 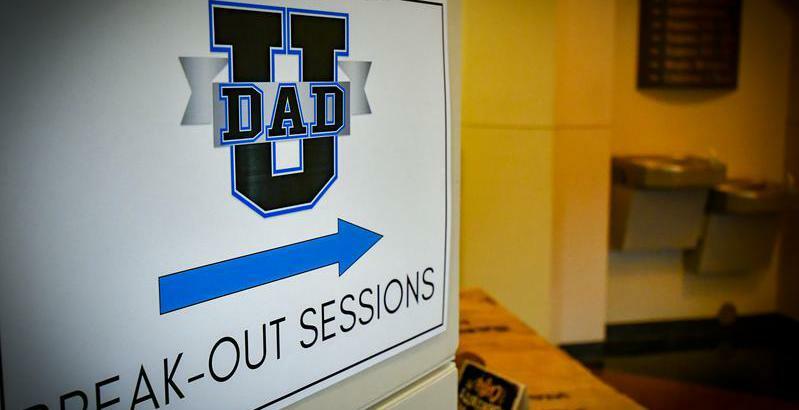 DADs…why is it the same sometimes in our spiritual walk? Even when we know it will make us a better …we sometimes choose the easier path? In the physical sense we know what's good for us... that working on our core will make us stronger…faster…better for our team and teammates...but we get distracted. The same holds true...now in our adult roles as husband and DAD, we can be detoured and shy away from church, Bible study, and prayer...all things that would only strengthen our families. As a coach, I would ask my players...Do your individual goals outweight your team…or are your team goals more important than your personal goals? As your brother in Christ and a Minister of Men, I would in regards to your spirtual growth I would ask does what matters least serve as an obstacle for what matters most? You see football is a team sport. When you work on your core…you are working on your team. As long as your core values includes putting the team before your individual goals. As the leader of your family, the DAD…WE can NEVER place outside priorities ahead of our “team” our most precious gifts, our families! That means working on our spiritual Core daily! As the coach, do you know the players I most admire? The ones that come to work every day. Early to practice. Last off the field. First to volunteer to run scout team. Always have their helmet on during the game but at the same time rarely plays. Wow. The difference in most games when it comes down to the best teams are not always the best players, but the strength of the Core players. Are our core players better prepared than theirs can influence the result. The core becomes difference. DADs…the difference in your family is YOU! The outside world wants to celebrate the starters. The one that scores the winning TD. Believe me, as a coach I loved those too…they made me a great coach at times. But when one of those players is also a Core player…humble…and acknowledges that his success is based on the team…thats special. As DADswe may not look like the superstars to others…often not even to our own families…but we must be consistent and unwavering in working on our spiritual core! Be the DADtoday and everyday! Suit Up! Put on your Core!